That’s my husband’s favorite joke…”Do you know what La Cocina means?…THE Cocina”…followed by much laughter. Hey, his joke not mine. So I couldn’t resist when writing up this post. 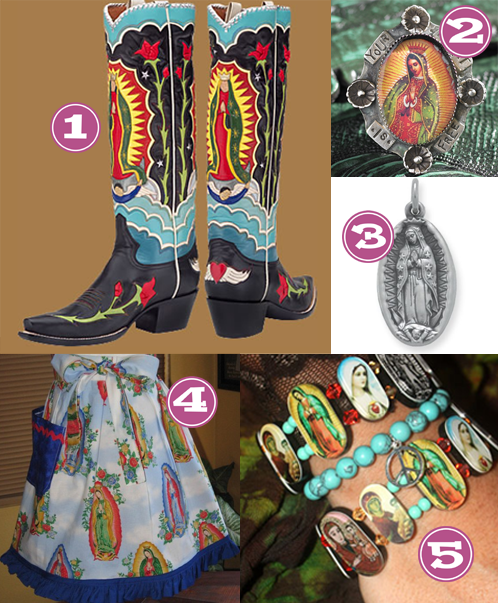 If you live in Texas, the Virgin of Guadalupe is probably a sight you’ve seen many times. I’m not Catholic but I love the colors and stars and everything about the image. My aunt has these boots and they are AMAZING and I may or may not need to steal them from her closet.